At first glance 68 Jay St. in Brooklyn’s DUMBO neighborhood doesn’t look like a place where the magic happens. The building’s facade is very nondescript, and two large elevators and a worn out-looking vending machine mark its minimalist-looking lobby area. The commercial building’s sparse interior gives no indication that in one of its spaces is Saltlands, a professional recording studio. Founded in 2008 Saltlands has been used by various artists for their projects such as the Soft Pack, Alexi Murdoch and Josh. Several songs from the Away We Go movie soundtrack were produced at the studio, and Wilco’s DVD Ashes of American Flags was mixed there. A cavernous hallway, which is reminiscent of being in an indoor parking lot, leads into the studio’s entrance. Inside is a relatively cozy relaxing space that houses the usual fixtures such as the studio per se and the control room that features large mixing desk. “We’re not really competing with Avatar or Sear Sound, which are these amazing studios in New York that charge thousands of dollars a day,” says Saltlands’ owner and co-founder Steve Salett. “So we don’t try. I think we have very good equipment and we try to focus on the performance. One of Saltlands’ clients is Cobble Hill resident and musician Dawn Landes, who is also a co-partner of the studio as well as its producer and engineer. Her most recent album, Sweet Heart Rodeo, was recorded here at Saltlands along with the music of her other project, the Bandana Splits. Landes has been working at recording studios for ten years, including a stint at the now-defunct Looking Glass. 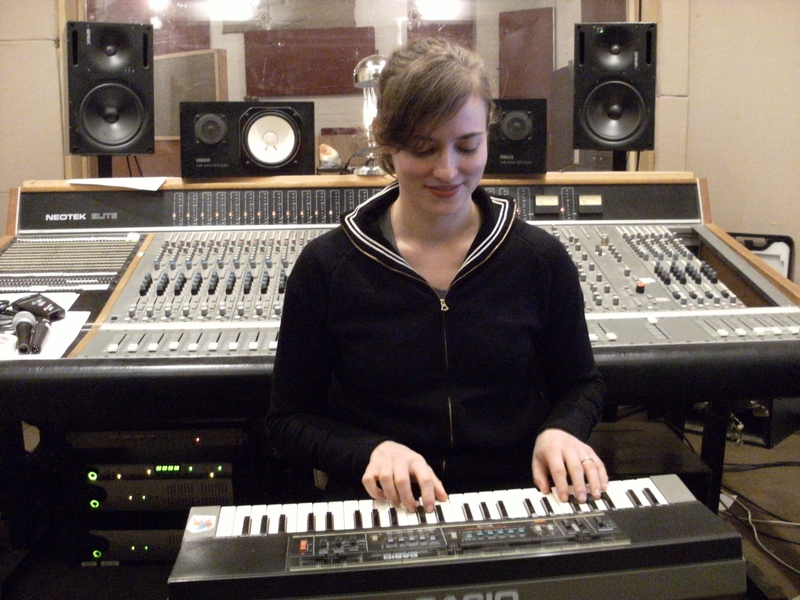 An opportunity to own a stake in a studio came when she connected with Salett and fellow studio partner/chief engineer Gary Maurer. For information on Saltlands, visit its Web site. For more on Dawn Landes, check out her Web site. Her latest album, Sweet Heart Rodeo, is out now.